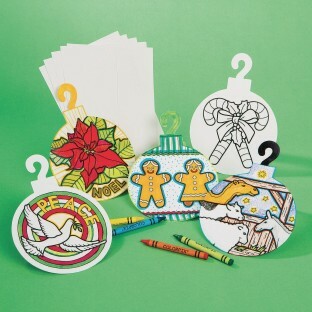 Die-cut, preprinted Christmas-card 'ornaments' include a holiday greeting and their own envelopes. Ready to color, send and hang on the tree! Crayons and markers sold separately. Size: 5"D with 5-1/4" x 7-1/4" envelopes.